Posted by rogerhollander in Africa, Environment, Nigeria. A court in The Hague is considering whether Shell can be held liable for alleged pollution in Nigeria, and a ruling is expected on 30 December. This case could set a precedent for corporations based in Europe that exploit lax environmental regulations and violate the rights of communities in the developing world.In the village of Ikot Ada Udot, south-eastern Nigeria, a rusty complex of tubes pokes five feet out of the ground. A familiar sight to locals, it is known as the “Christmas tree”. But unlike its innocuous namesake, this “tree” is an abandoned oil wellhead owned by oil multinational Shell. According to environmentalists, the wellhead spewed toxic oil and gas into the land and fish ponds of local villagers for months in August 2006, and again in 2007. As of May 2008, the area around the Christmas tree was still heavily polluted and villagers remain destitute. This is one of three oil spills in the case against Shell that will begin its first hearing at The Hague civil court this week. Four Nigerian villagers, in conjunction with Milieudefensie (Friends of the Earth Netherlands), are charging Royal Dutch Shell with causing massive oil spills that have resulted in loss of livelihoods. The case provides a snapshot of the environmental and social devastation caused by Shell in the Niger Delta. The bigger, more disturbing picture is that oil spills have contaminated the once fertile Delta with approximately 1.5m tonnes of crude oil, equivalent to one Exxon Valdez disaster every year for the last 50 years. As Amnesty International pointed out in a report this July, Shell “has failed to respect the human rights of the people of the Niger Delta … through failure to prevent and mitigate pollution”. The parent company, Royal Dutch Shell, denies responsibility for the pollution of its subsidiary, Shell Nigeria, and is challenging the jurisdiction of the Dutch court over its actions abroad. It also blames oil spills on sabotage to its equipment. It seems that if Shell had its way, no court would have jurisdiction over any violations of human rights and environmental law. In 2005, the federal high court of Nigeria declared Shell’s gas flaring to be a violation of human rights and ordered the company to stop the illegal practice. Shell has still not complied with this court order. With little or no legal remedy in Nigeria, villagers from the Niger Delta have decided to bring their case to The Hague to hold the company headquarters to account. 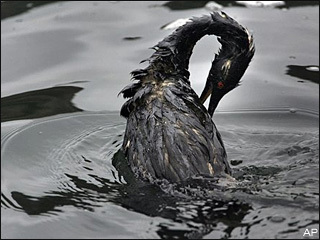 Another oil spill flowed from a high-pressure pipeline in Oruma, Bayelsa state, in 2005, polluting the land and drinking water of several neighbouring communities. Shell waited 12 days before containing the spill, and four months later it began its clean-up operation by dumping the polluted soil into pits and setting them on fire, causing further damage to the environment. The oil-rich Niger Delta is prized by multinational corporations; chief among them is Shell, which derives approximately 10% of its global profits from the region. The oil companies have made enormous profits and enriched a succession of Nigerian regimes, but pollution is driving local people into poverty. Until Shell takes responsibility for its impact on the environment and human rights, it can expect legal actions like this one to expose ugly truths about their polluting practices. 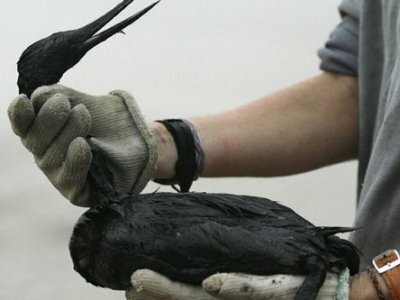 Shell must bear the cost of its environmental devastation. The alternative is daily injustice on a massive scale.